“The blows they come hard and fast, you barely hold your own/ you've been here too many times before/ and as the blood and sweat smarts and stings your eyes/ you feel the rush through your veins once more/ you land one mighty punch, fire and rage of a lifetime/ the crown is yours, he hits the floor.” - The Boxer - Cara Robinson-Alison Ferrier. 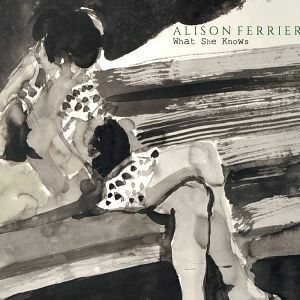 Melbourne singer-songwriter Alison Ferrier maximises fighting and precipitation metaphors on her third album. Evocative entrée song The Boxer , penned with Cara Robinson of renowned duo Hat Fitz and Cara , sets the tone in a bitter battle fought against a backdrop of fire and rage in a bloody dust bowl. This is not a violence anthem - just a vivid victory for a Sabbath crown of triumph that breaks the losing drought for a fighter whose family flees, leaving only his partner to share the fruits of his final bout. The male lead is the victor but his win is tempered as it's his bitter-sweet farewell to the stressful sport. It segues into the riveting rhythm of Rest Easy , propelled by drummer Danny McKenna and daubed with electric violin by Ferrier and acoustic guitar of husband-producer Jeff Lang. Ferrier strip mines maudlin memories with Do You Remember The Day - a life time long ago - and haunting regret tinged Once Had A Love where the forbidden foe is relegated to a sugar free diet. The singer's rhetorical Am I On The Right Track, anchored in broken heartache with an escapist dream refuge, and Do You Ever Stop Loving Someone are equally bleak. But this is not all fear and vitriol. “It's so hard to keep on/ why has God sent us this test/ the land we own is tiny now/ the banks have sold the rest.” - Waiting For The Rain - Alison Ferrier. 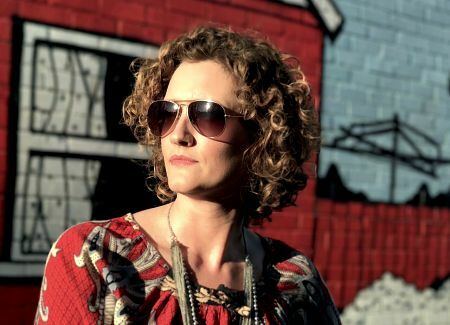 Ferrier drives home a powerful message on debut single Waiting For The Rain , replete with a stark video, filmed by Lang, of livestock on parched paddocks north of Melbourne near Wallan. The singer explores the perennial pain of farmers in protracted droughts where crop and livestock income fails to cover loan payments. Ferrier's characters try to forsake pity and hand-outs but lose their pride when they pray for rain as their saviour. This hook heavy, optimism fuelled potent paean craves a welcome drenching from the preceding pathos. It may ostensibly be a tale rooted in rural suffering but could also equate to a challenged seasonal love. But it's a definite drought breaker with Waifs pedal steel guitarist Ben Franz lacing the tune featuring Lang on guitar and harmony vocals with Beth Barker. The studio footage of Alison was filmed by her friend Nadine Budge of the Stetson Family. “It was dark and hard to see/ the water's edge so slippery/ I didn't weep, I didn't moan/ I watched you sink just like a stone/ just a drunk who lost his way but had a heavy price to pay/ a love that once consumed my soul/ has turned my heart as black as coal.” - River Flow - Alison Ferrier. Waiting For The Rain segues into the aquatic release of emotions in River Flow where the long suffering female in a pained romance with a derelict drunk recidivist watches her tormentor meet his, ah, Waterloo. Ferrier sings of the icy water being cold as sin and turning her heart as black as coal when the villain drowns as he goes under for the final time. She keeps her battle and his fate secret, negating the need for an inquest of a coronial kind. The singer becomes assertive on the plaintive pleas of Don't Patronise Me where Franz provides six string bass. Ferrier's fiery finale - revamped traditional Appalachian folk tune The Cuckoo with her psychedelic electric guitar solo and Lang's slide - has also been released with a video. The song, originally recorded by Clarence Ashley and popularised by artist diverse as Joan Baez, Bob Dylan, Janis Joplin and the late Townes Van Zandt, is a welcome bonus. Inclusion of The Cuckoo is smart marketing - it uplifts the disc that also benefitted from winning a day's recording during the 3RRR-FM radiothon. “It was such a brilliant stroke of luck and excellent timing! I certainly put it to good use,” says Ferrier, who cut six songs live with the band at Head Gap Studio in Preston , recorded by Finn Keane. 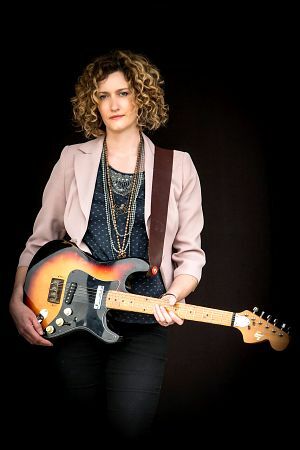 Alison releases her album on February 16 and launches it on Sunday February 25 at The Workers Club in Fitzroy, with special guests Harry Jakamarra and Alysia Manceau. What She Knows follows 2012 debut album Sugar Baby and 2015 disc Be Here Now after Ferrier graduated from The Wayward Fancies duo.